Have a BBQ on a boat! Clarence River Boat hire offer the perfect way for you to enjoy the beautiful Clarence River with the family or a group of friends when you are staying in Yamba. Bring along your own food, or drop a line over the back of the boat and catch some fish. 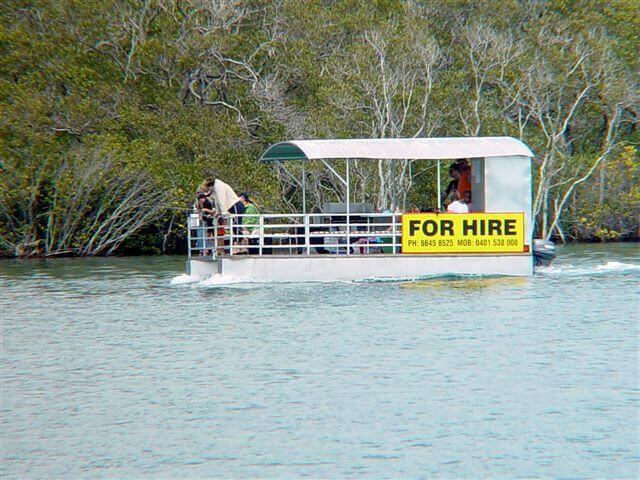 You can then have a cook up with the BBQ on board their BBQ boats! They have 3 boats to choose from that can hold between 8 and 12 passengers and the best part is, you don’t need a boat licence to drive them. The Clarence River is a beautiful part of the world and there is not better way to experience it than by boat. You can explore the many islands between Yamba and Iluka and are almost guaranteed to come across dolphins!